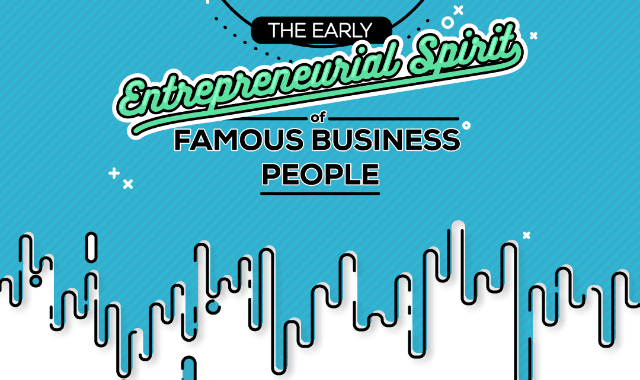 The Early Entrepreneurial Spirit of Famous Business People #Infographic ~ Visualistan '+g+"
Even from an early age, you can tell that many of today’s famous business leaders were destined for greatness. In their youth, Jeff Bezos, Warren Buffett and Richard Branson showed their savviness by starting small businesses or brainstorming million-dollar ideas. And that entrepreneurial spirit only increased with age. To learn about these leaders early entrepreneurial efforts, check out this infographic below.